The Psalms, a remarkable treasure trove of theological riches, play an unceasing role of emotional and theological encouragement. 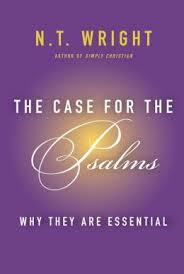 What is it about the Psalms that make them so rich? The historical trajectory of God’s faithfulness? The faithfulness and struggles bound up in the sufferer? The imaginative responses from its poetic guise? I predominately spend my time in the New Testament and language study. One negative aspects to academic study is the frequency of debates entering your mind. You read a verse of Scripture and think, “Yeah, I know the sides of this discussion.” What ends up happening is a failure to allow the text to mold and shape you.